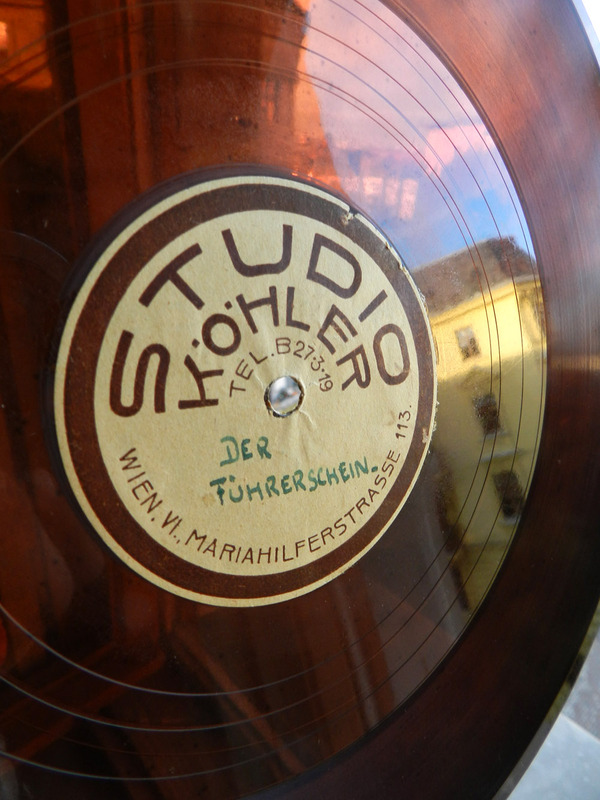 My girlfriend fished this record out of a box while waiting for me in a Berlin record store in 1998. 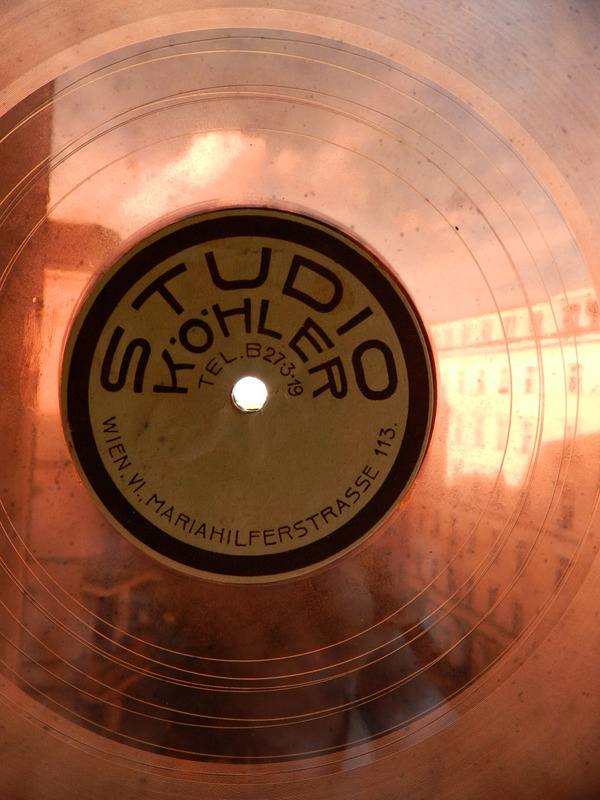 I remember, because it was before we moved together and the store was near her old apartment. 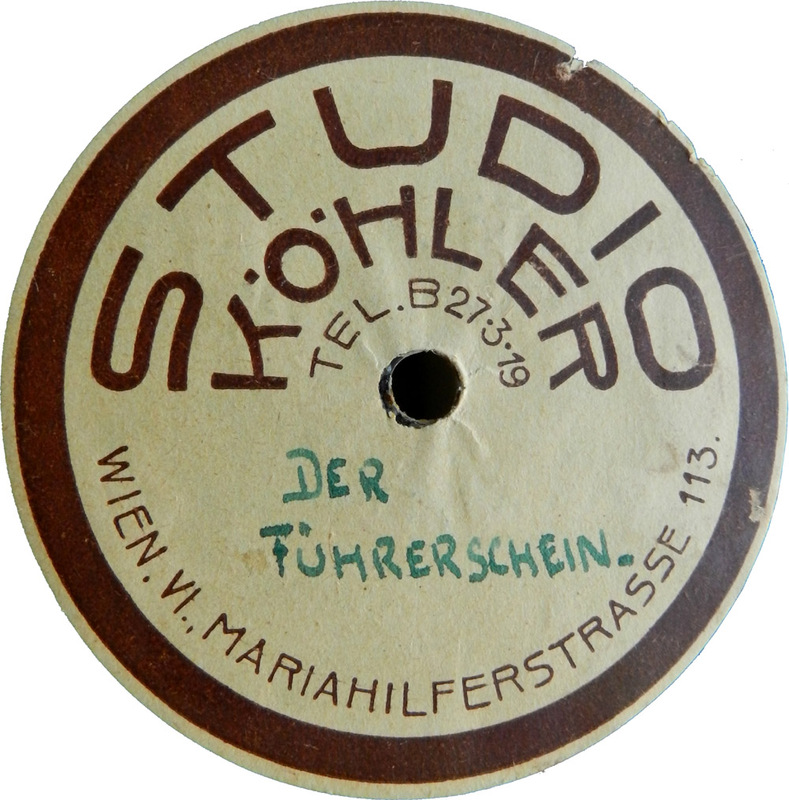 She always had a good eye for picking odd looking records, like this one. 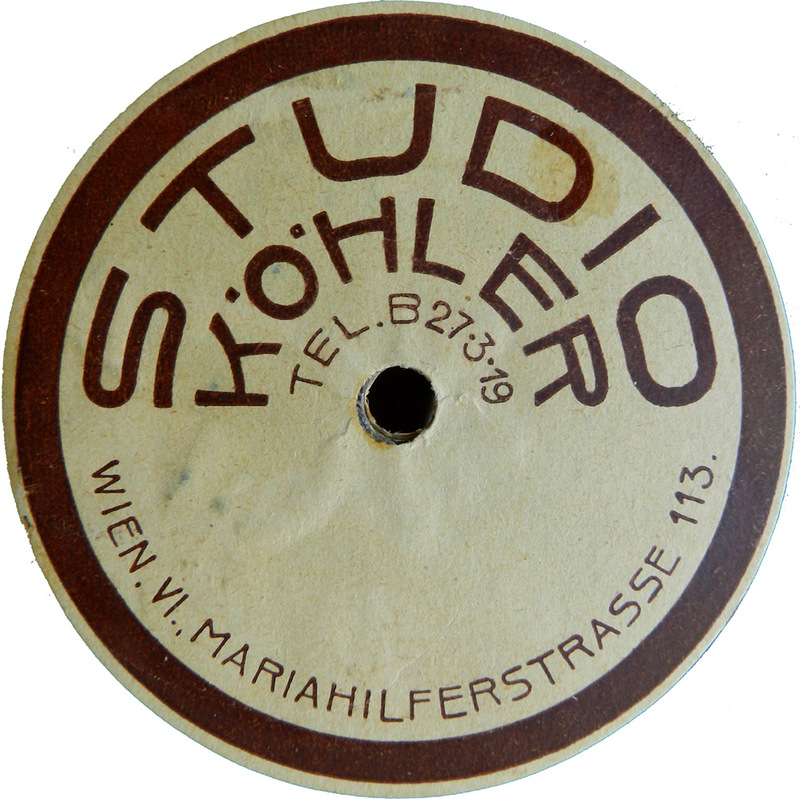 Audiodiscs were one of many home recording labels that produced blanks that could be recorded at home with special recording machines. 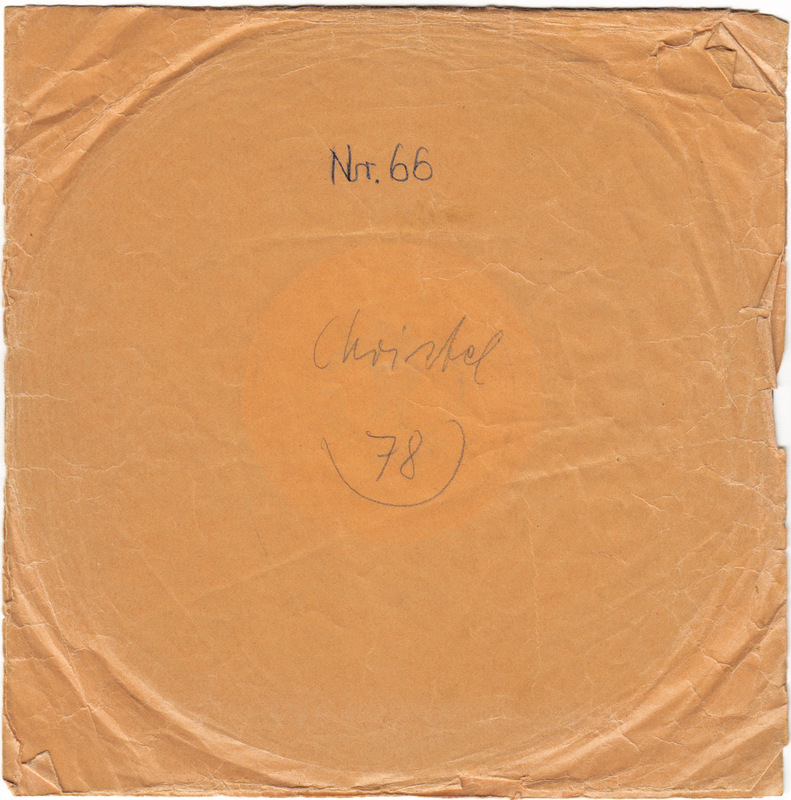 There is no date given on the record but I would say late 50s, because it already runs on 45 rpm. 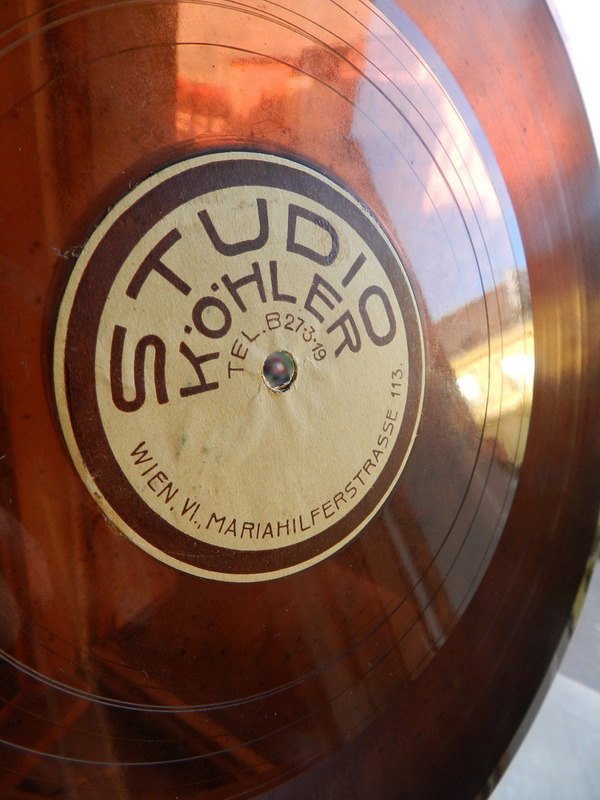 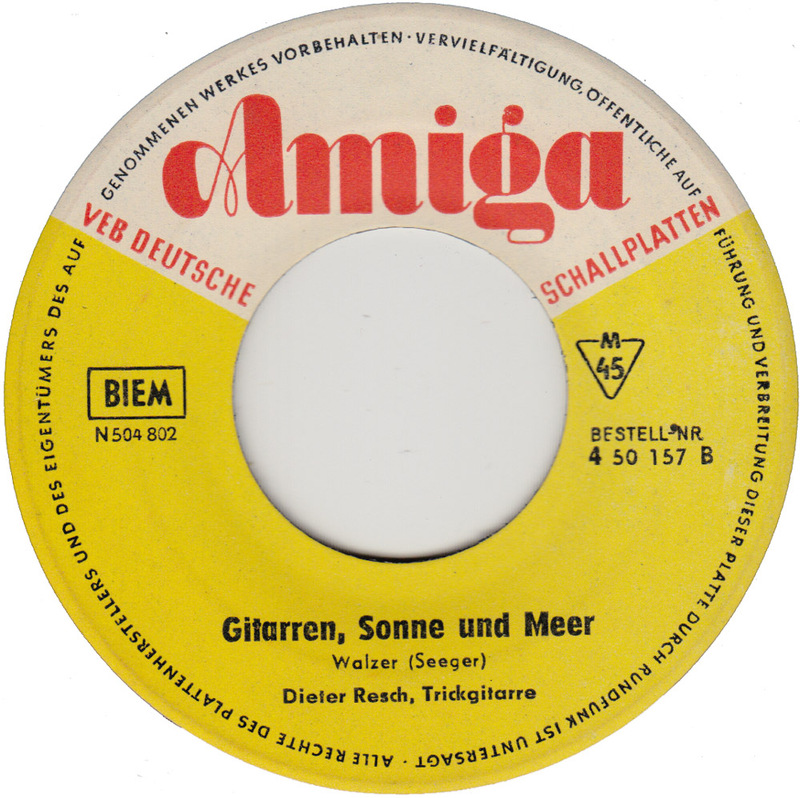 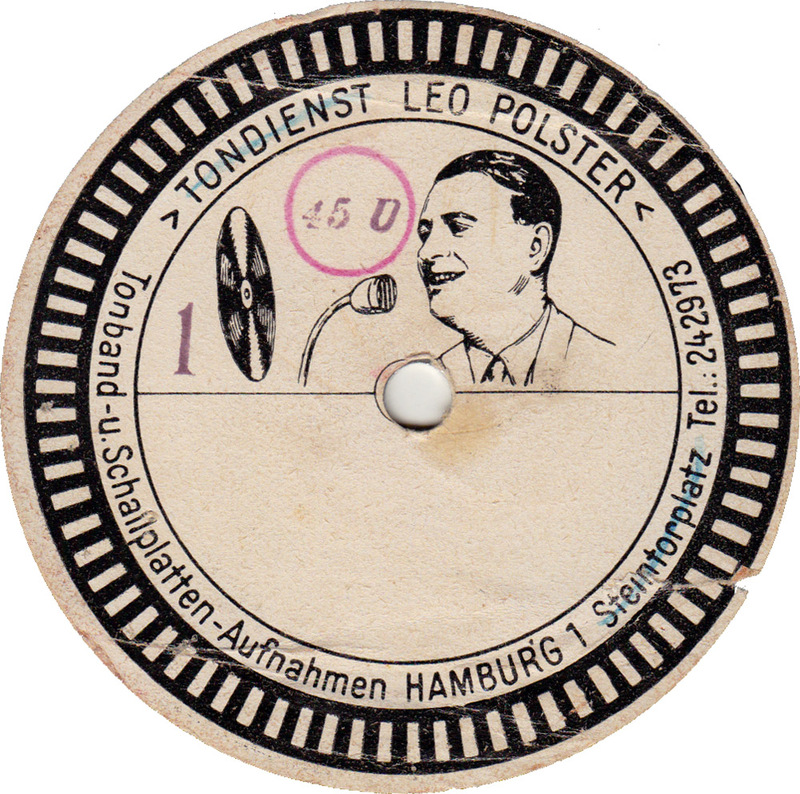 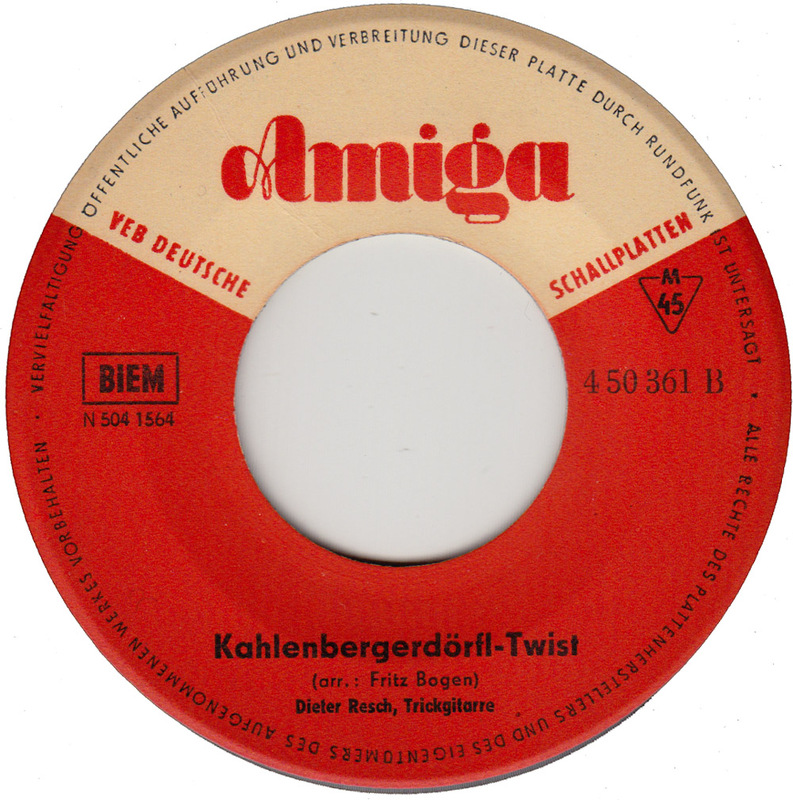 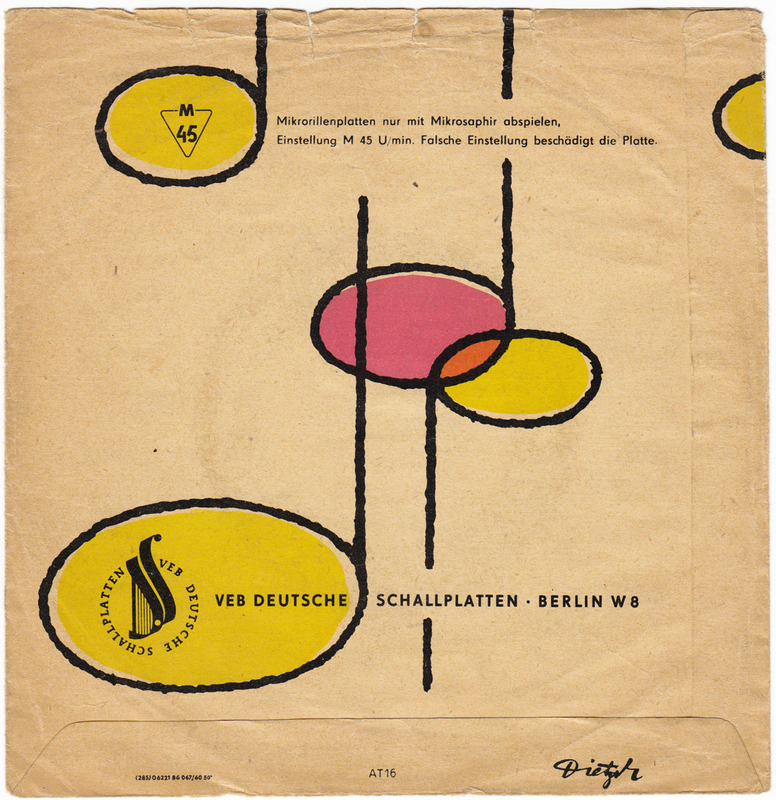 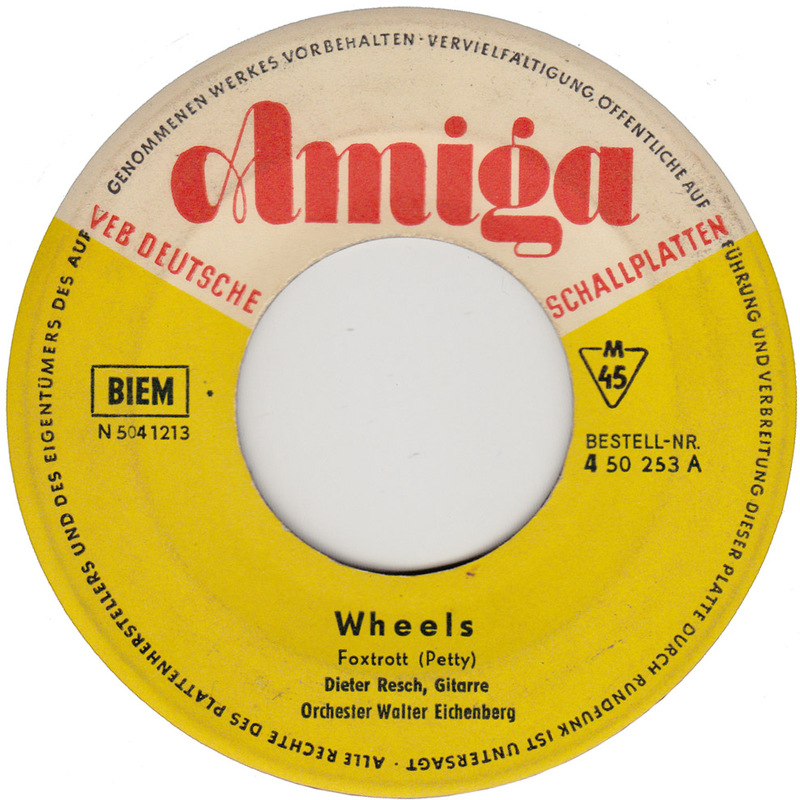 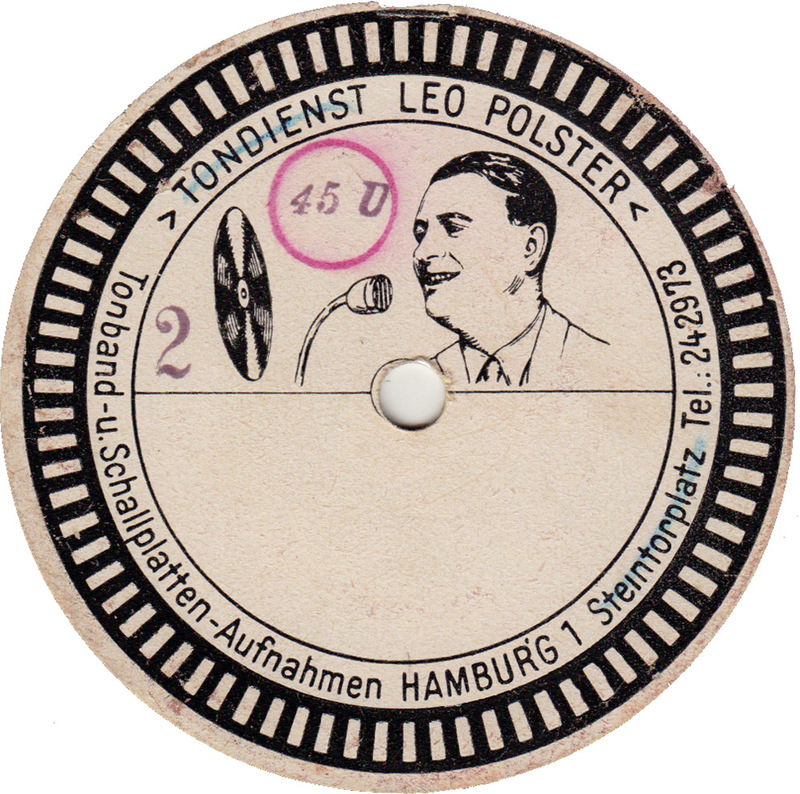 This plastic coated metal acetate was recorded at Tondienst Leo Polster in Hamburg, Steintorplatz, obviously a recording studio where you could have your music recorded on the spot. 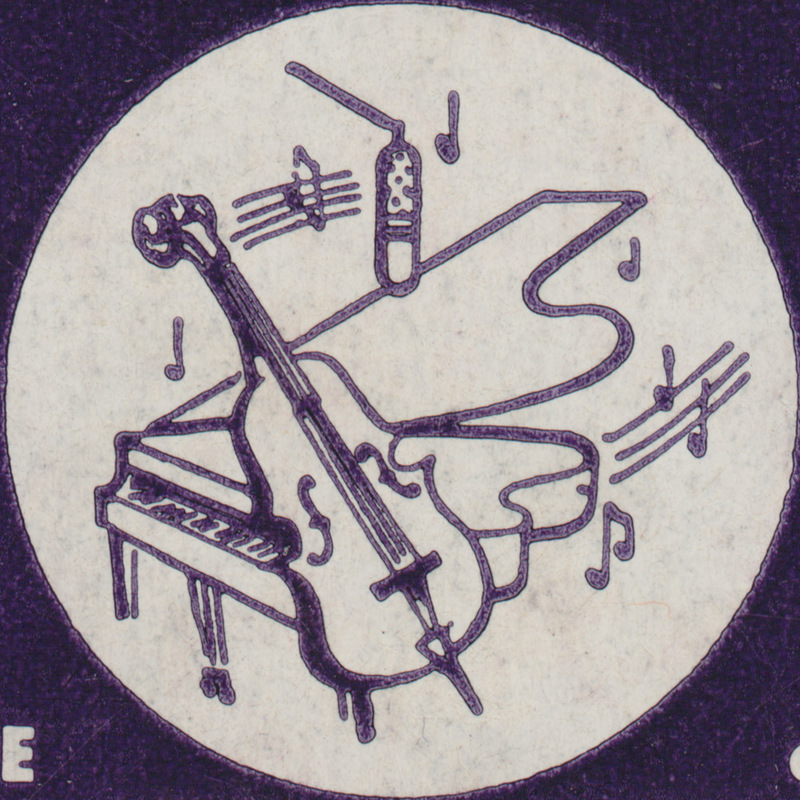 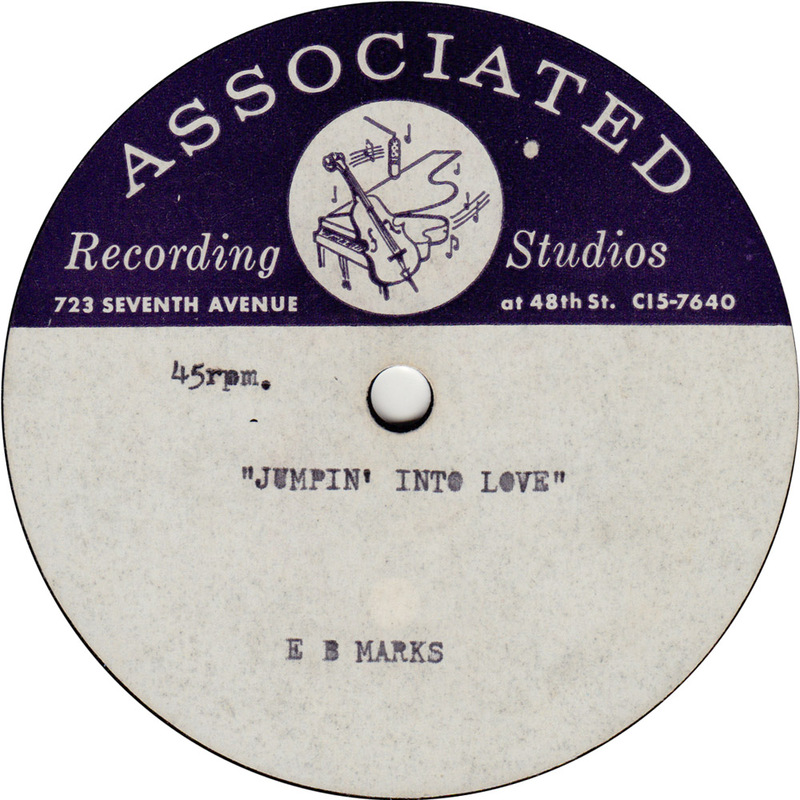 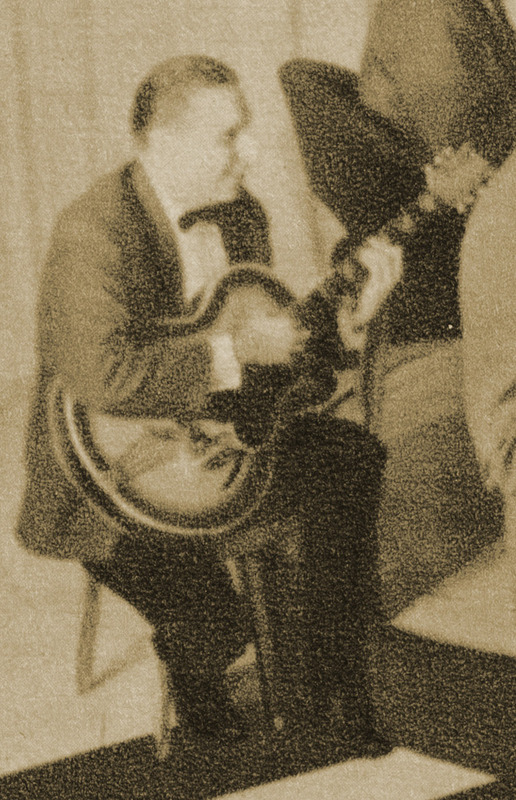 No title, name and no date given, but from the style of the label and the 45rpm, I would put it in the mid to late 50s. 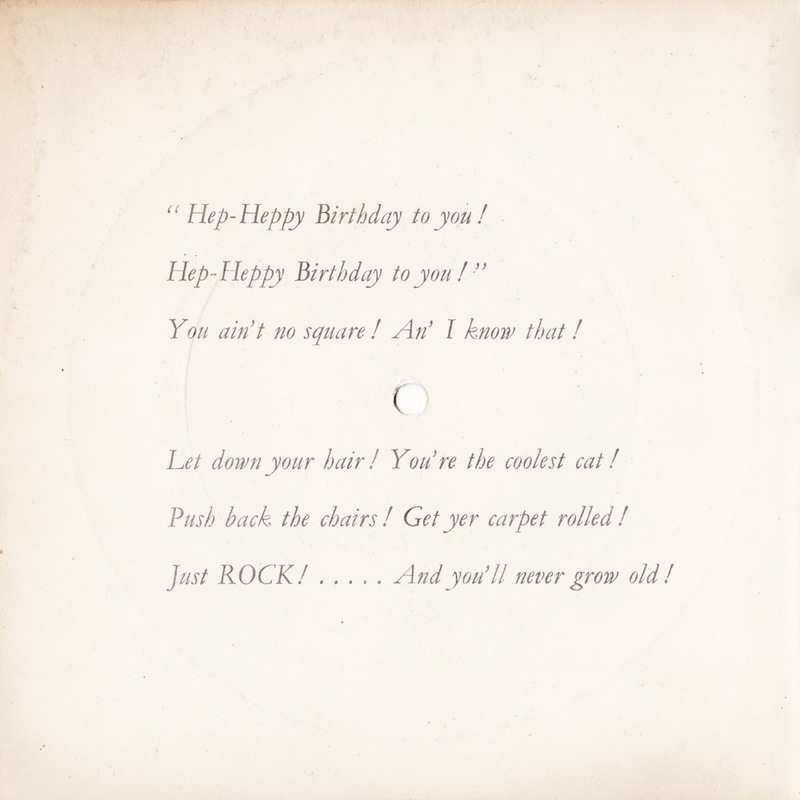 Last year I found a whole bunch of Danish 78s in a local thrift store and then already posted Eddie Russell´s version of “Blazin´ The Trail”. 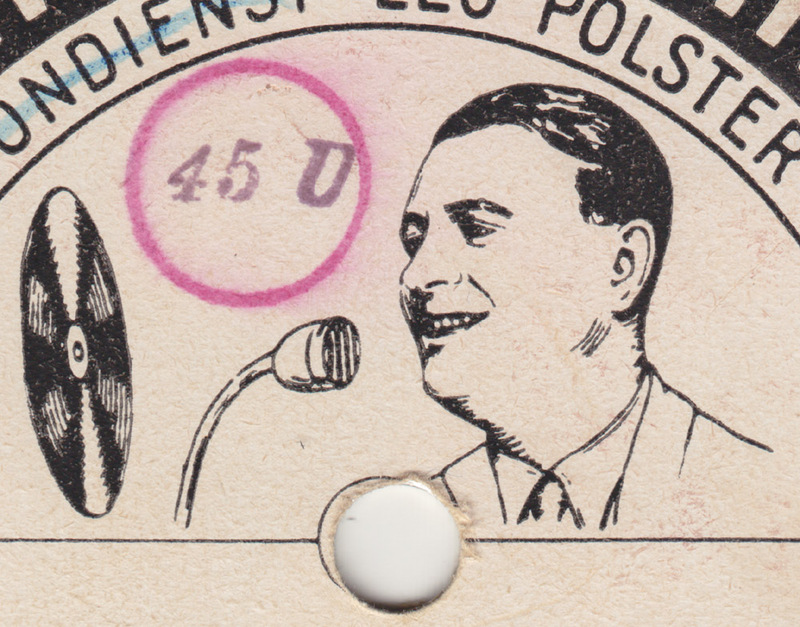 Eddie Russell (1908-86) was a popular Danish singer from the 40s to the 70s and recorded over 400 sides. 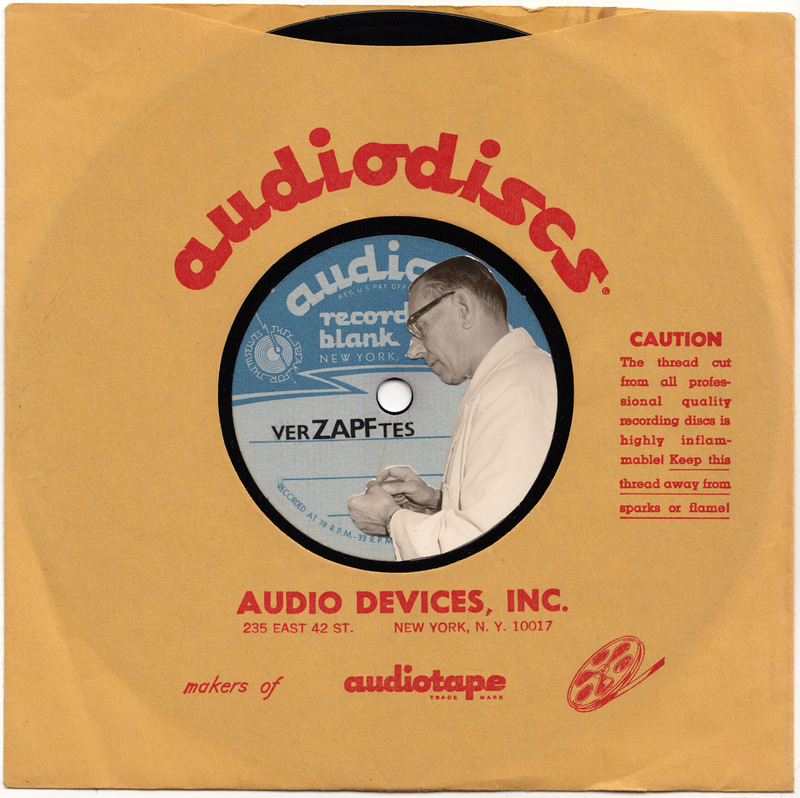 Sadly only a handful of these have ever been been reissued. 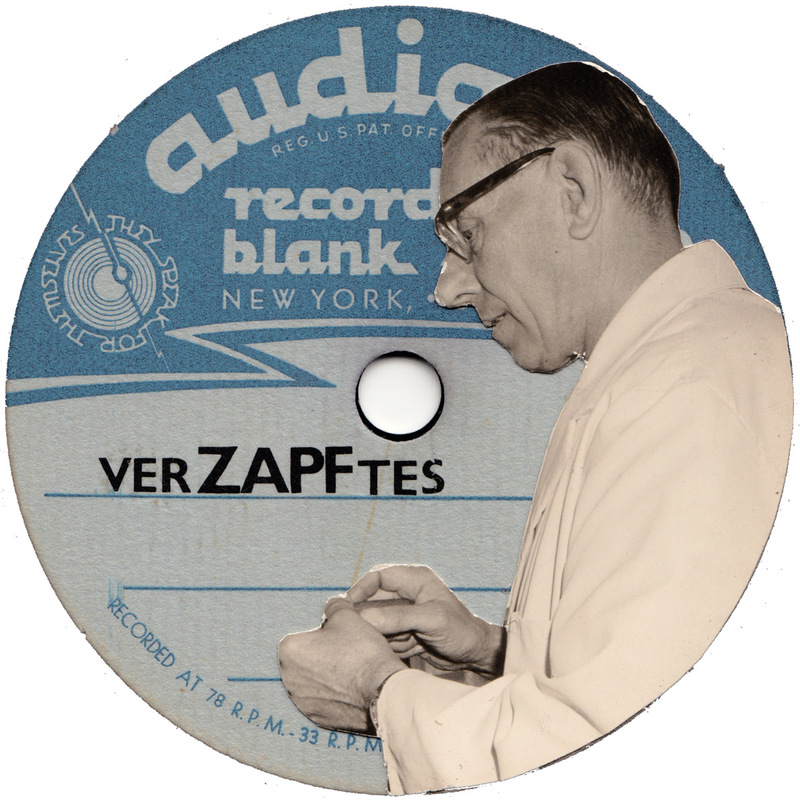 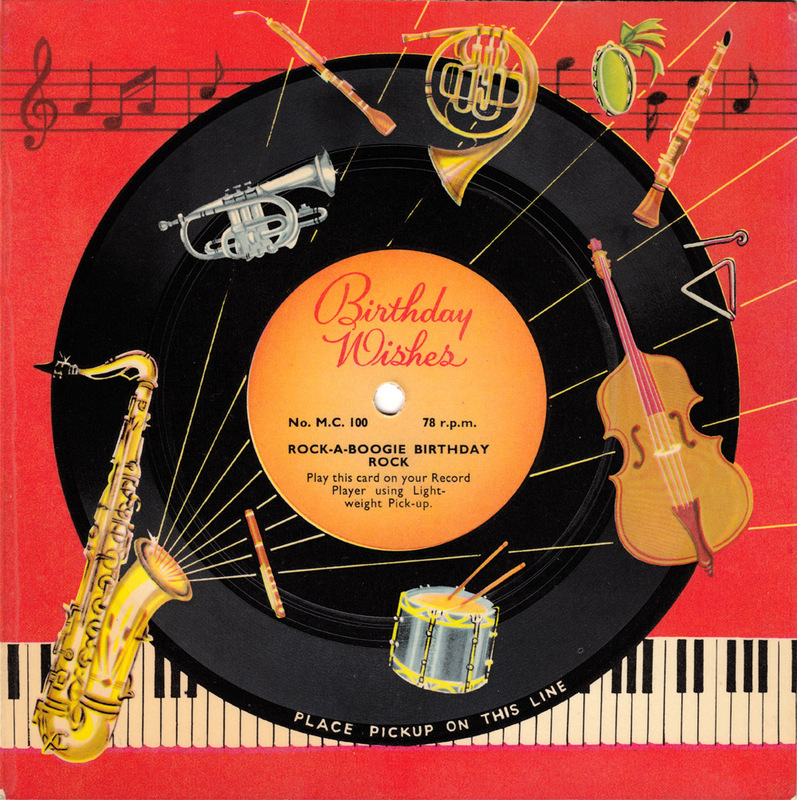 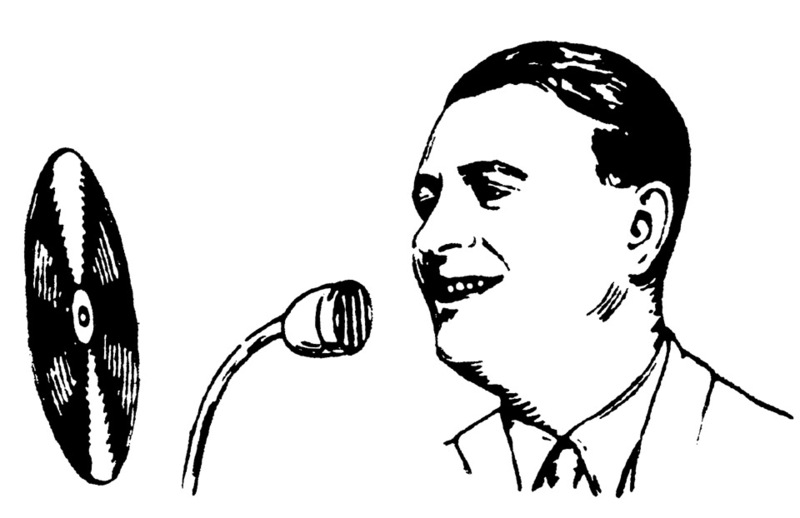 I found a few Youtube videos of his 78s playing and one CD of what sounded like his 60s material. 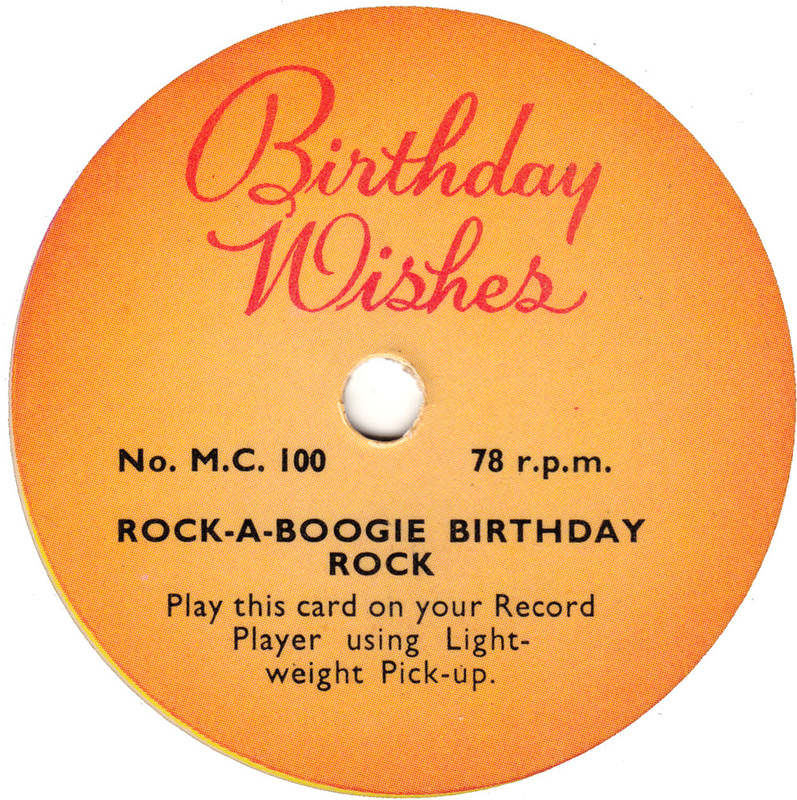 But no Eddie Russell on Wikipedia, Discogs or any other fan site. 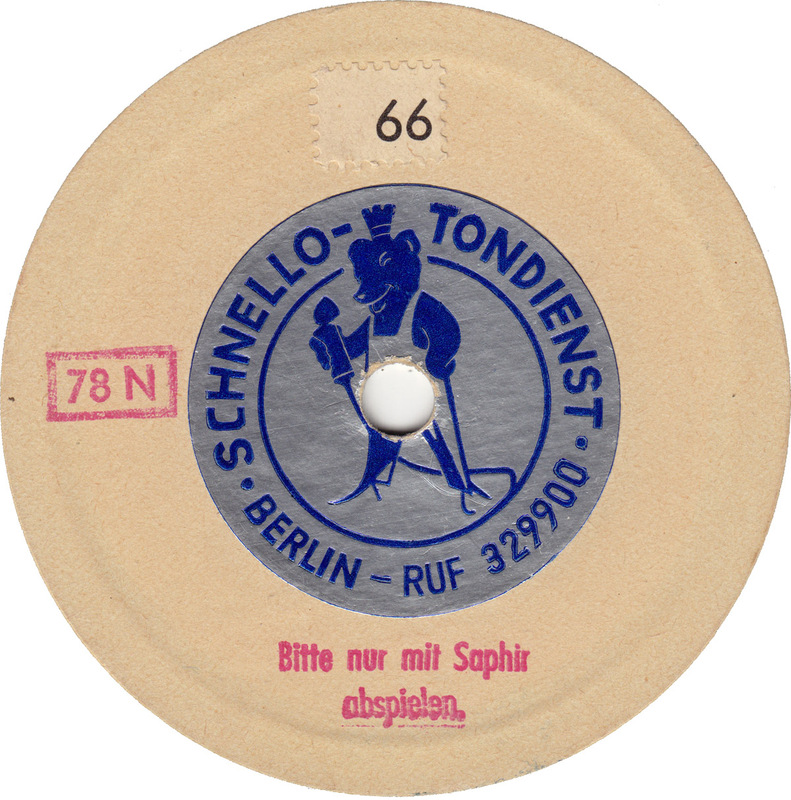 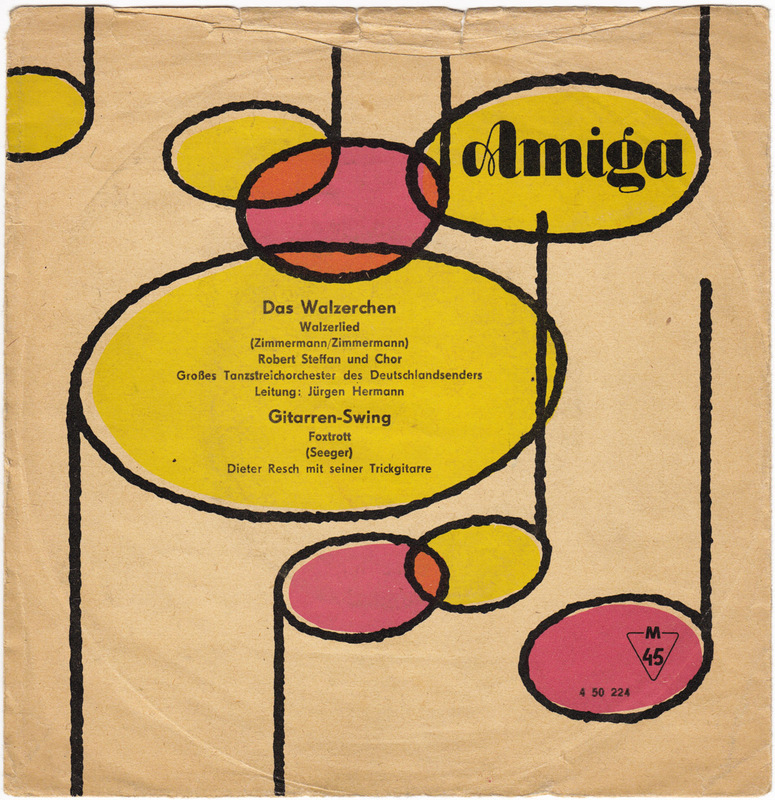 Now here´s another Stalin related record from the same bunch of Danish 78s that I found last year, like the majority of the them, issued by the Tono label, the most important Danish record label until the late 50s. 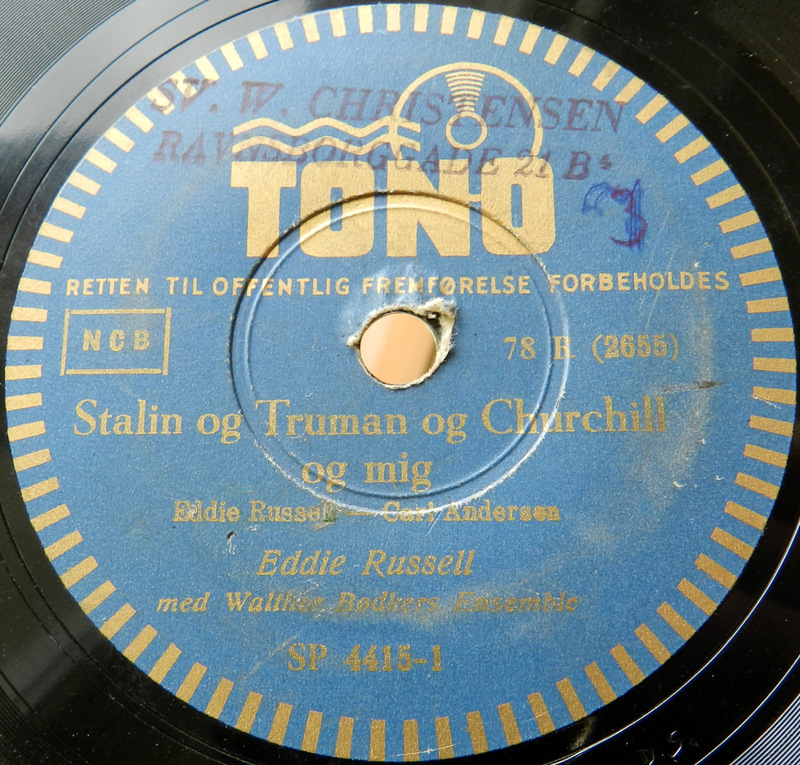 “Stalin og Truman og Churchill og mig” (Stalin and Truman and Churchill and me) was recorded most probably right after the Allied Liberation of Denmark in the summer of 1945. 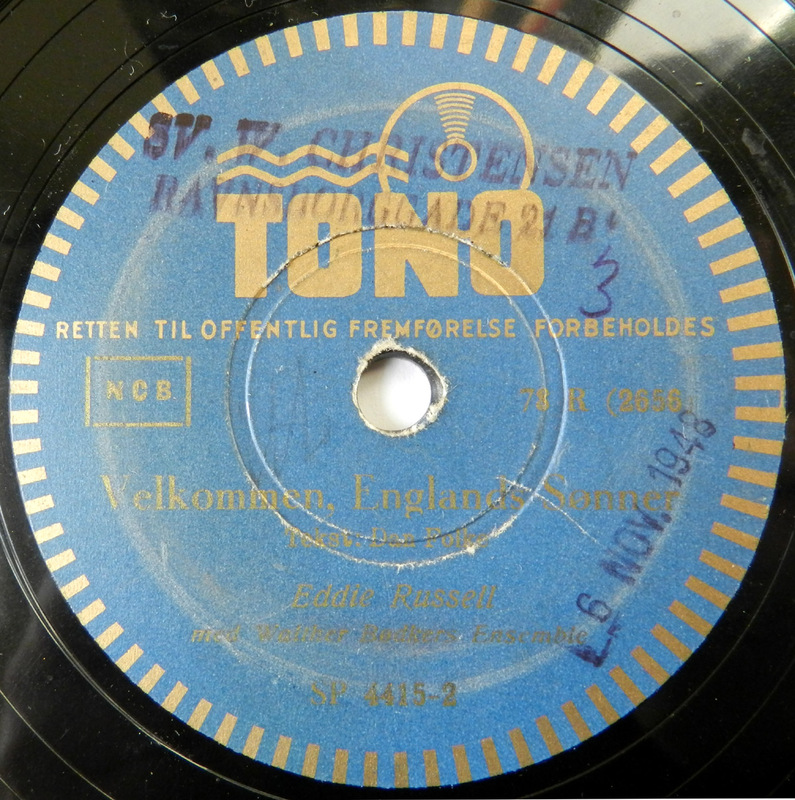 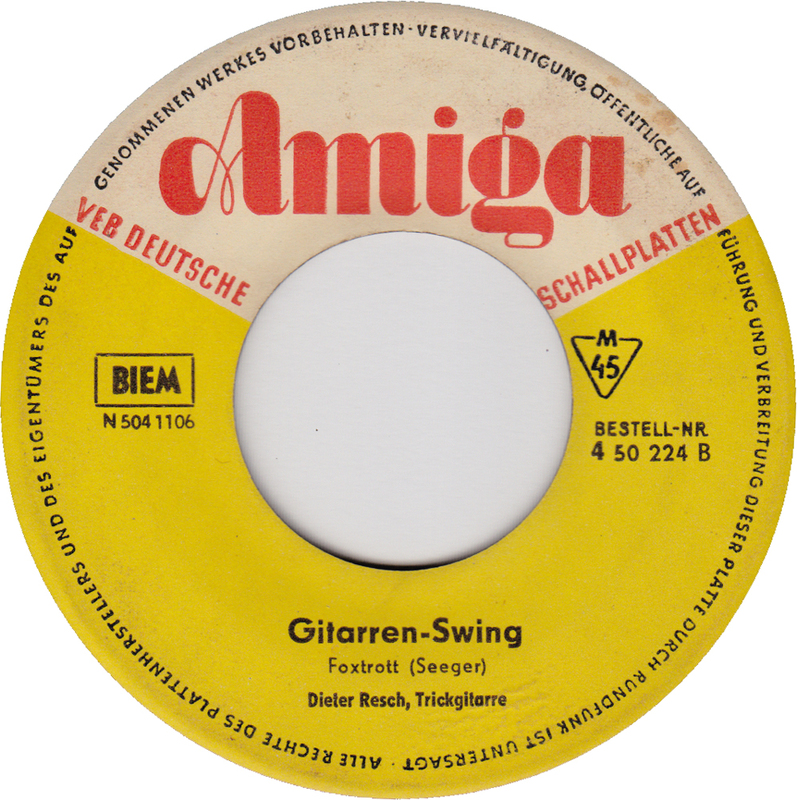 Two cheerful tunes that celebrate the fact that Denmark finally got rid of the fascists….